Vega, who is also a founder of Wieden & Kennedy São Paulo, replaces Andy Jex. 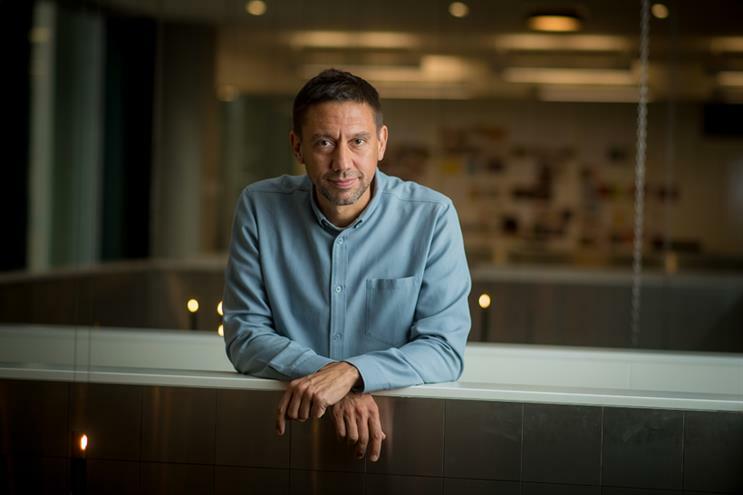 Saatchi & Saatchi London has ended its 15-month search for a chief creative officer with the appointment of Guillermo Vega, the former executive creative director at 72andSunny New York. Saatchi & Saatchi kicked off the global search for a CCO after Andy Jex quit as executive creative director to join TBWA\London. At the time, Saatchi & Saatchi announced that it would be hiring a CCO to fill the role, which was covered on an interim basis by chairwoman and global chief creative officer Kate Stanners. Originally from Argentina, Vega has a track record in launching agencies. Before establishing 72andSunny New York, the network’s third and fastest-growing office, he was one of three founders of Wieden & Kennedy São Paulo. At W&K, he spent three-and-a-half years as executive creative director, growing the agency from three employees to more than 100 by winning clients including Nike, Coca-Cola and Heineken. He has also worked at Y&R as regional creative director, overseeing Latin America from the network’s headquarters in New York. Stanners said: "The role of CCO of London has to be one of the best jobs in the business, so we used the opportunity to talk to the best creative talent in the world. Guillermo is that person – and he brings a unique mix of skill as a creative and experience as a creative director. He has been personally responsible for an extraordinary body of award-winning work and has set up agencies in both Brazil and New York. I believe he has the talent, energy and passion to lead Saatchi & Saatchi London and take it to the next level." Vega said: "When I met the Saatchi team, I instantly felt that this was the right team to join. Their passionn, talent and the history of the agency made it a no-brainer. I’m ready to explore London and make this experience fun, exciting and memorable – and make some great work. Thanks for having me here." Joining on 1 October, Vega will complete the Saatchi & Saatchi management team, comprising chief operating officer Sam Hawkey, chief strategy officer Richard Huntington and managing director Larissa Vince. He will report to Stanners and global president and UK chief executive Magnus Djaba.